This is a Full Lift Kit put together by Superior Engineering with AmadaXtreme Adventure Series 35mm Nitro Gas Shocks Suitable For Jeep TJ Wrangler. 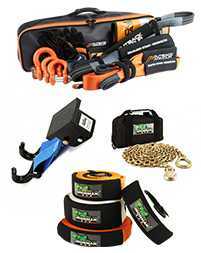 The suspension kit includes the following 4x4 suspension and accessories: 2 x Front Coil Spr..
Superior Engineering has put together an excellent Entry / Medium level 2" Inch AmadaXtreme Adventure Series Lift Kit Suitable For Toyota Prado 120 Series four wheel drive vehicle. 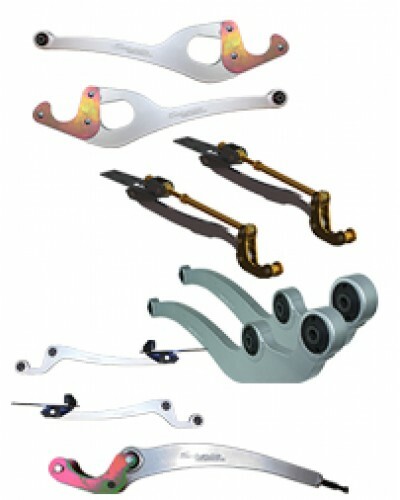 This lift kit includes the following suspension parts and accessor.. This is a Full Lift Kit put together by Superior Engineering with AmadaXtreme Adventure Series 35mm Nitro Gas Shocks Suitable For Jeep Cherokee XJ. 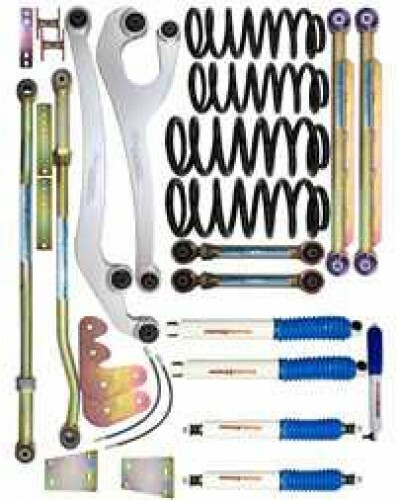 The suspension kit includes the following 4x4 suspension parts and accessories: 2 x Front Co.. 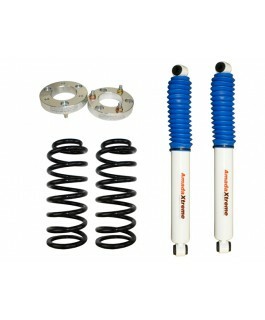 These are a true value for money rear shock absorber Suitable For Jeep Cherokee XJ with a 2" inch lift. AmadaXtreme Adventure Series shocks offer a lower cost, quality alterative to the top of the range Explorer 11 shocks. 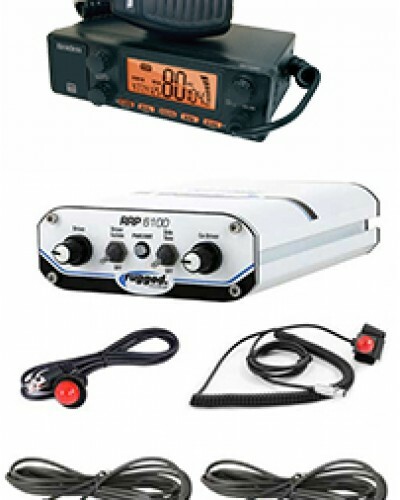 These shocks feature .. These are a full featured, heavy duty, mid-range rear shock Suitable For Jeep Wrangler TJ & Grand Cherokee with a 2" inch lift. 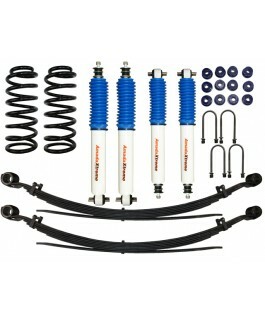 AmadaXtreme Adventure Series shocks offer a lower cost, quality alterative to the top of the range Explorer 11 shoc.. 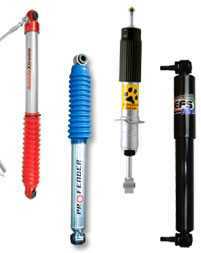 These are a quality budget rear shock absorber Suitable For Toyota Prado 120 (2003-2009 Models) with a 2" inch lift. AmadaXtreme Adventure Series shocks offer a lower cost, quality alterative to the top of the range Explorer 11 shocks. 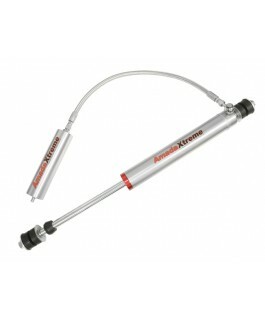 These sh..
AmadaXtreme Adventure Series shocks offer a lower cost, quality alterative to the top of the range Explorer 11 shocks These shocks feature a 57mm outer tube and 20mm piston rod complete with a 40mm bore to ensure they handle the rigors of the Aust..
AmadaXtreme dampers are a heavy duty style steering damper designed to handle the harshest of driving styles. 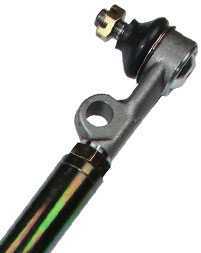 Using a large 16mm chrome shaft with a Hallite Seal these steering dampers will last an extremely long time. With the extra-large 36mm.. 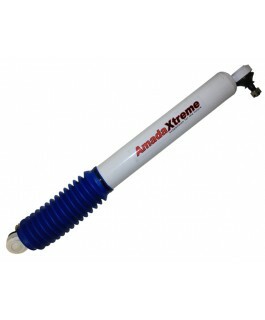 This is an AmadaXtreme Adventure Series steering damper Suitable For Holden Rodeo TF (1991-1996) model 4WD vehicle. AMADAXTREME dampers are a heavy duty style steering damper designed to handle the harshest of driving styles. Fitting this dampe..
AmadaXtreme Adventure Series dampers are a heavy duty style steering damper designed to handle the harshest of driving styles. 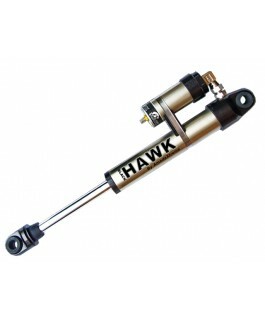 Using a large 16mm chrome shaft with a Hallite Seal, these steering dampers will last an extremely long time. 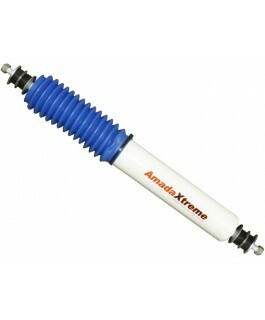 With th..
AmadaXtreme dampers are a heavy duty style steering damper designed to handle the harshest of driving styles. 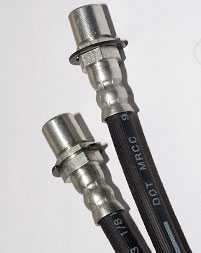 These dampers are a Foam Cell damper. 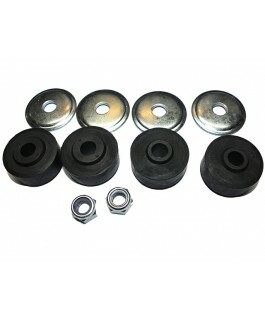 This AmadaXtreme damper Suitable For Nissan Patrol GU Series 1 Wagon from 1998-2000. Price is.. 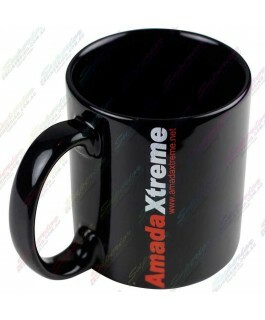 This is an AmadaXtreme Adventure Series steering damper Suitable For Toyota Hilux IFS Front (1997-2004) model 4x4. 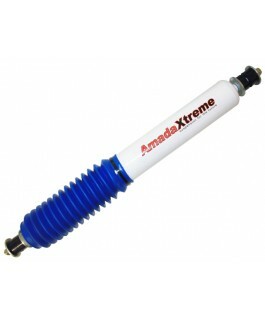 AMADAXTREME dampers are a heavy duty style steering damper designed to handle the harshest of driving styles. 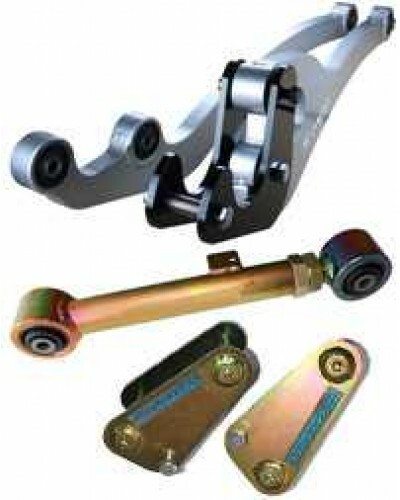 Fitting this damper..
AmadaXtreme dampers are a Heavy Duty steering damper designed to handle the harshest of driving styles. 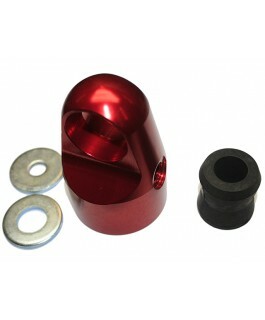 Using a large 16mm Chrome shaft with a Hallite Seal these steering dampers will last an extremely long time. With the Extra-large 36mm bore .. 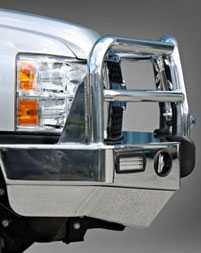 These are a heavy duty front strut Suitable For Ford Ranger (2012 on) & Mazda BT-50 (Series 2) with a 2" inch lift. 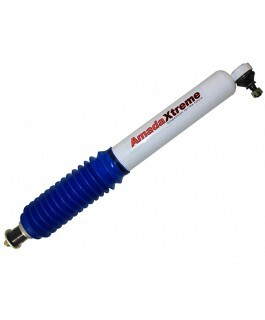 AmadaXtreme Adventure Series shocks offer a lower cost, quality alterative to the top of the range Explorer 11 shocks. 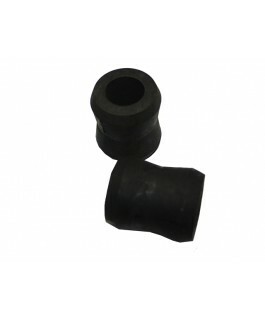 These..
Billet eye fitting Suitable For shock body. 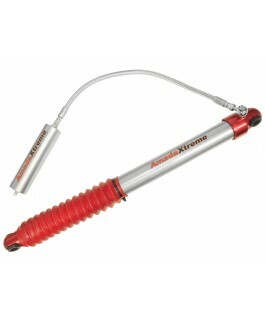 This has a revised O-ring groove from the early generation Amadxtreme shocks. 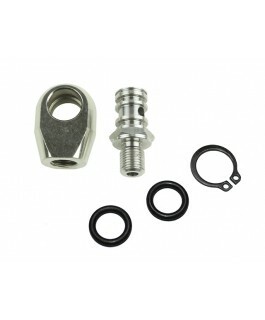 Supplied with O-ring to fit to the body as well as a bush and 2 washers. 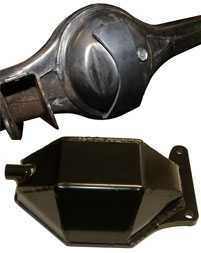 Commonly fits Toyota Landcruiser 78/79/76/80/1..
Billet eye fitting Suitable For popular AmadaXtreme shocks. 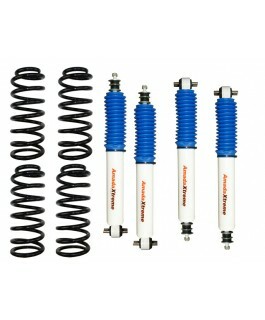 These are fitted on late generation AmadaXtreme shocks. 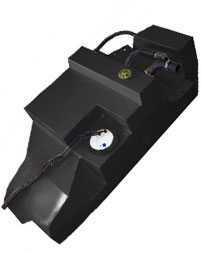 If your eye fitting looks different than this contact Superior Engineering for the correct item to purchase. Commonly fits To.. 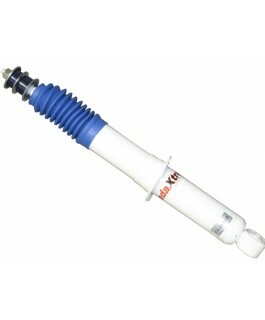 This is a Rear AmadaXtreme Black Hawk 2" Inch Lift Shock Absorber Suitable For Mitsubishi Triton 4x4. Features: 52 mm Body diameter 20 mm Chrome piston rod 46 mm Diameter piston Nitrogen gas pressurized to 200 PSI Black anodized 6061.. This is a Rear AmadaXtreme Black Hawk 6" Inch Lift Shock Absorber Suitable For Toyota Hilux (Strut Front 2005-current) and Foton Tunland (2013-current) 4x4. 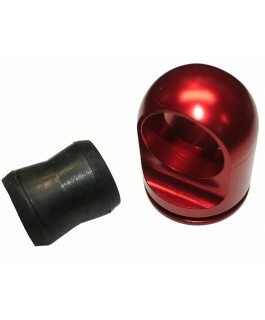 Features: 52 mm Body diameter 20 mm Chrome piston rod 46 mm Diameter piston Ni.. 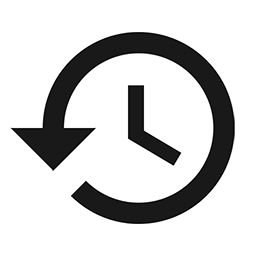 Please Read: This is a clearance item and is only while stocks last, due to delays in the system some item may be out of stock at the time of purchase. 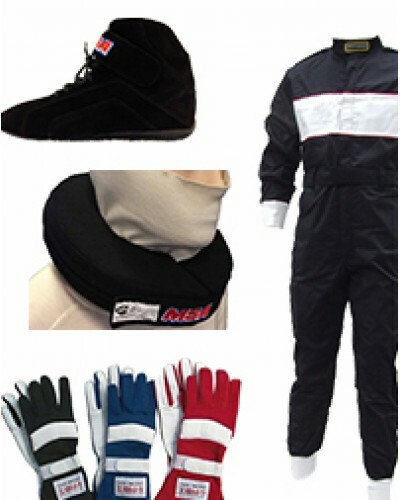 If your order can not be filled you will be contacted for a full refund. This is an AmadaXtr.. 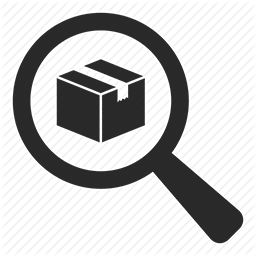 Please Read: This is a clearance item and is only while stocks last, due to delays in the system some item may be out of stock at the time of purchase. If your order can not be filled you will be contacted for a full refund. This is a rear Amad..